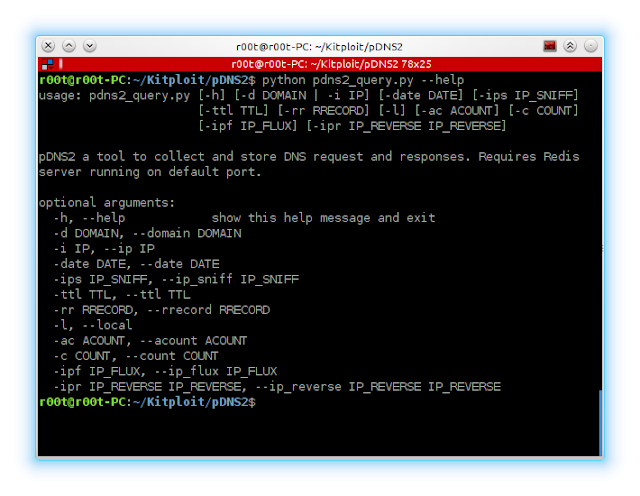 pDNS2 is yet another implementation of a passive DNS tool working with Redis as the database. pDNS2 means ‘passive DNS version2’ and favors speed in query over other database features. pDNS2 is based on Florian Weimer’s original dnslogger with improved features for speed and specialization for analyst. Ensure wireshare’s share is working and can collect on the desired interface or read pcap files. 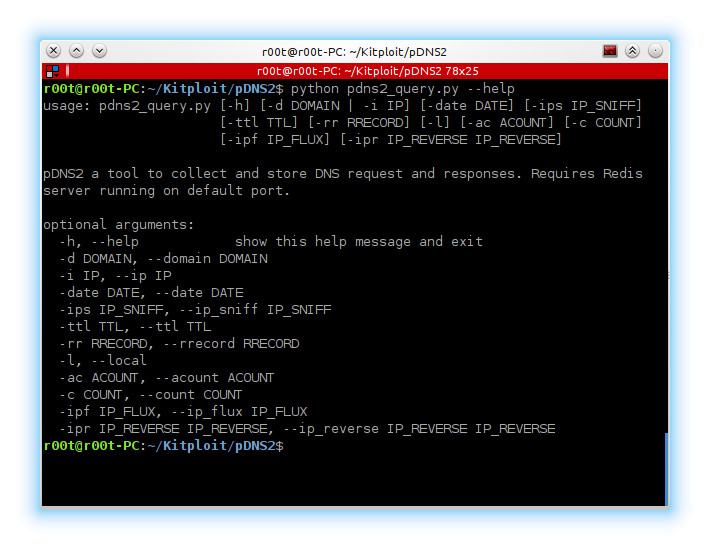 Anytime the collection is working, try pdns2_query.py with the options available. -l               search entire database local resolved IP addresses that resolve to 127.0.0.1 etc. pDNS2 tracks current state and last known, it is a snapshot of organization perception, not a log. This is the basic version, if interested in the more advanced versions or specialized versions that work with scapy, let me know.